Who needs a $700 iPhone or Galaxy when you can get one for $15?…wait what?! Well you can’t exactly get a high-end phone for that price, but soon you’ll be able to get a smartphone for the price of dinner. Datawind, a Canadian manufacturer who previously made a $35 tablet, will be releasing along with Indian telecom Reliance Communications, the first $15 phone in India. 2015 seems to be the age of the affordable smartphones, quality phones below $400, and 2016 seems to be the rise of the super cheap phones, below $20. Most of the growth in smartphones are occurring outside of the US, mostly in China and India. These countries have huge populations with untapped markets for more potential for affordable technology. In these underdeveloped markets, you usually have populations who are earning significantly less than the US households and whose telecomm infrastructure is far behind for example most networks in India still run on 2G networks. 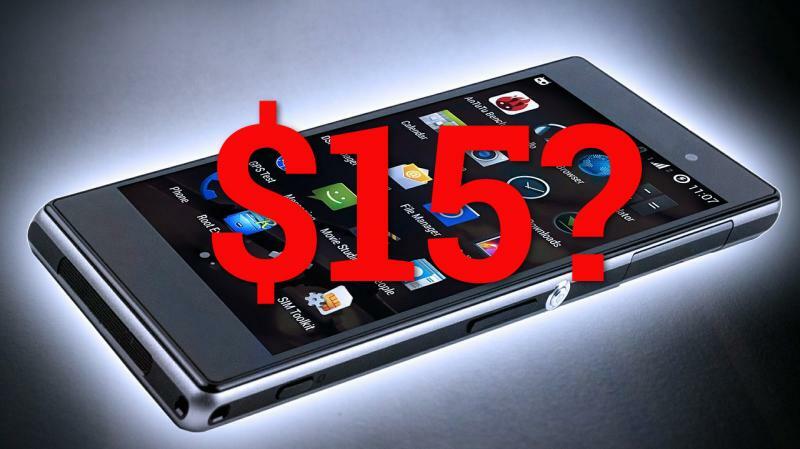 So it makes sense for $15 smartphones to exist. At this price, don’t expect high-end specs or premium quality design and as a matter of fact, this phone won’t run on Android but instead a Linux variant and it will only run at blazing 2G speeds. But at this bargain-basement price, premium materials and features is the last thing when making a buying purchase when you just need a phone to make calls…yeah people still call each other.